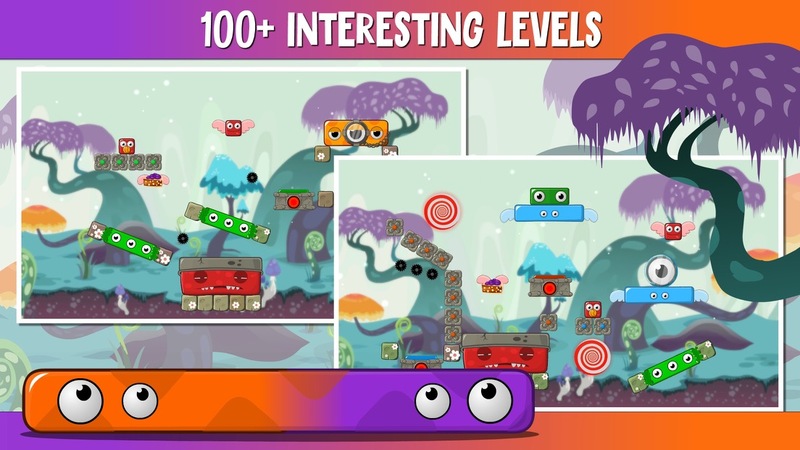 The catchy physics based puzzle about the endless action between sleeping Senior and energetic Junior! 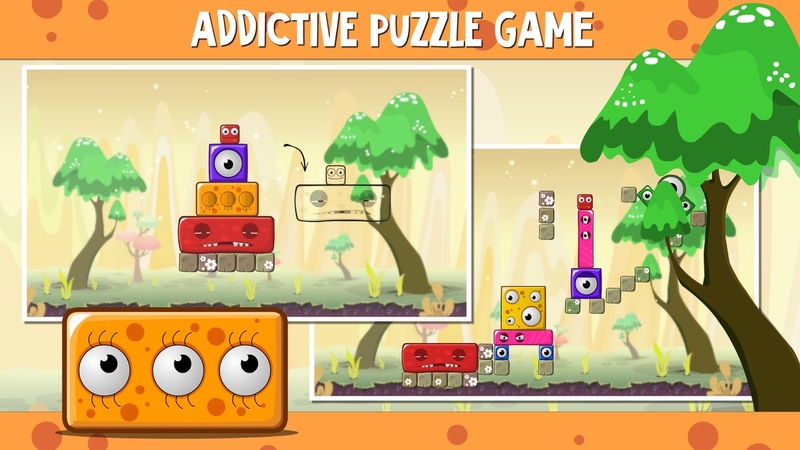 Help active Junior to wake up sleepy Senior by pop the monster-blocks and clear a path to continue the fun games! Monsterland story is well-known for many families. The full of energy child crazily wants to jump, run, play and fool around. But Senior decided to sleep and does not want to have fun with the little son. The Monsterland habitats guard the Senior's rest. 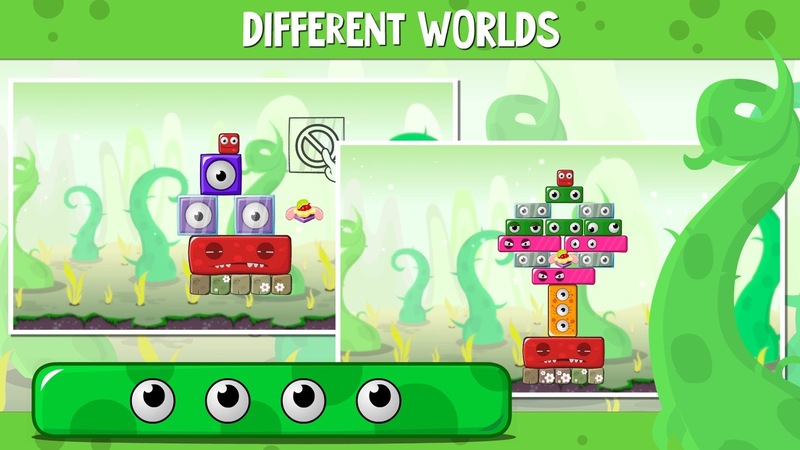 And it makes this logical puzzle just much more interesting! 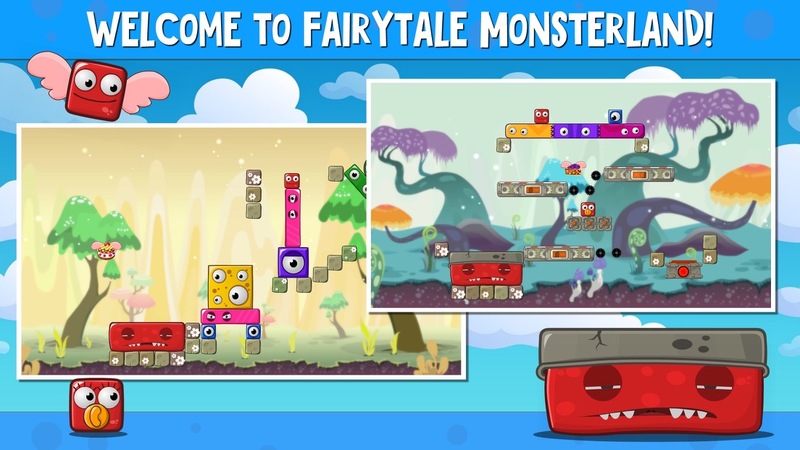 Pop the monsters, use elevators and portals, travel around the Monsterland world to solve a variety of attractive puzzles and join a playful child with his tired daddy for endless fun.